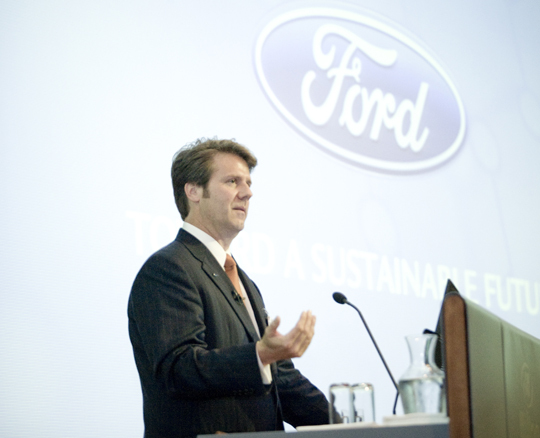 Ted Miller is Ford’s Senior Manager of Energy Storage Strategy and Research. His team is responsible for energy storage strategy, research, development, and implementation for hybrid electric vehicles, plugin hybrid EV’s, fuel cell hybrid EV’s, and battery EV’s. He is the principle investigator for Ford/Univ. Research Alliance energy storage research programs at MIT and the Univ. of Michigan. Mr. Miller holds several energy storage technology patents, is the author of numerous published papers, and a frequent speaker and technical conference session chair.